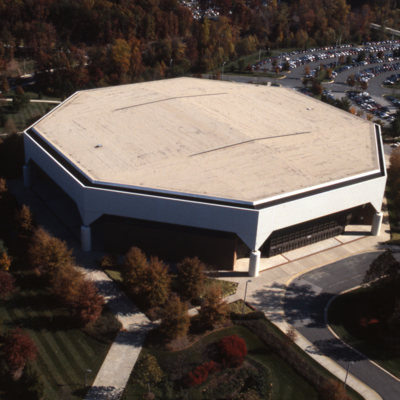 Aerial photograph of Patriot Center ca. 1990. Image is from a 35 mm slide; color.